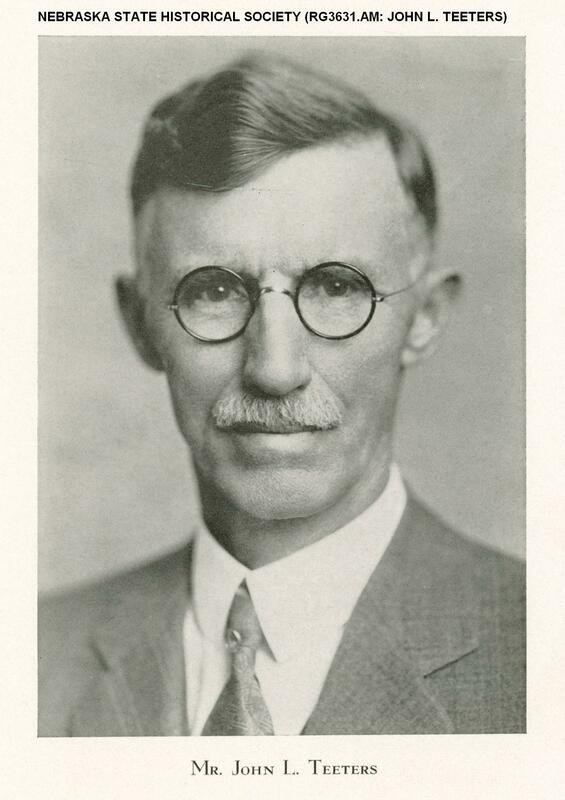 John Lewis Teeters was born at Iowa City, Iowa, the son of Albert and Ellen Baker Wood Teeters. In 1886 he graduated from the University of Iowa with a bachelors degree. From 1886-1887 Teeters worked for a wholesale jewelry firm in Des Moines, Iowa, and then moved to Lincoln, Nebraska, where he began the study of law. In 1891 Teeters was admitted to the Nebraska Bar and practiced law for several years until he again entered the jewelry business. Image of John L. Teeters (NSHS RG3631.AM) (above). The Library/Archives holds a small collection of materials relating to Mr. Teeters. 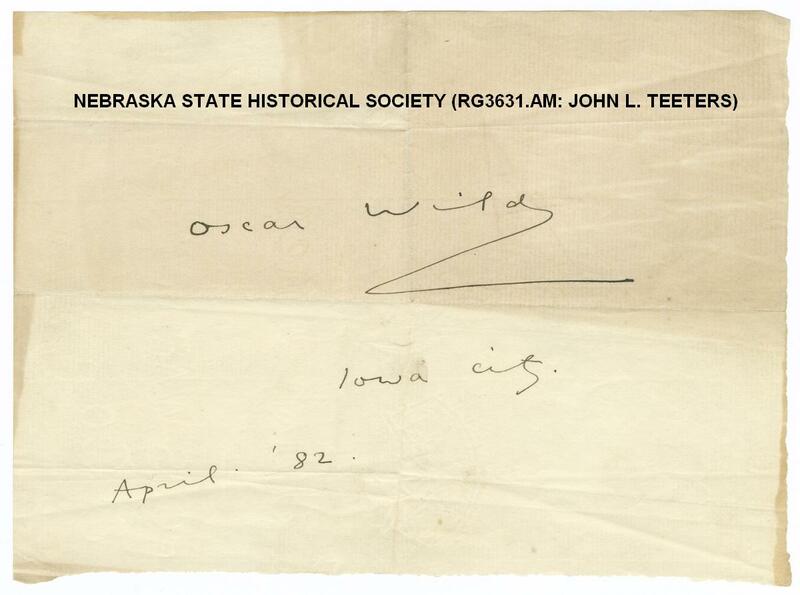 The bulk of the collection consists of letters Teeters received from locally prominent persons in Iowa City, Iowa, and Lincoln, Nebraska, which appear to have been saved primarily for their autograph value. The collection contains letters from Charles Bessey, Roscoe Pound and William Jennings Bryan, as well as autographs by Jefferson Davis and Oscar Wilde. 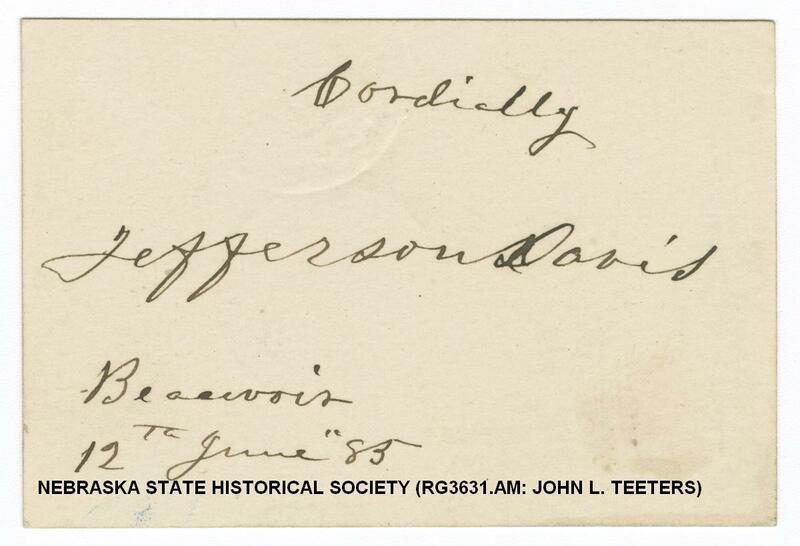 Autograph of Jefferson Davis (NSHS RG3631.AM) (above). Autograph of Oscar Wilde (NSHS RG3631.AM) (above). 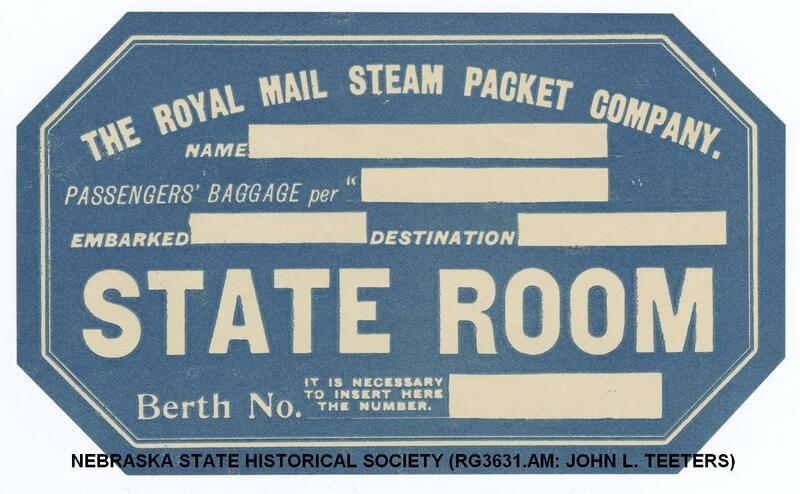 Also included in the collection are various steamer trunk labels collected by Teeters. 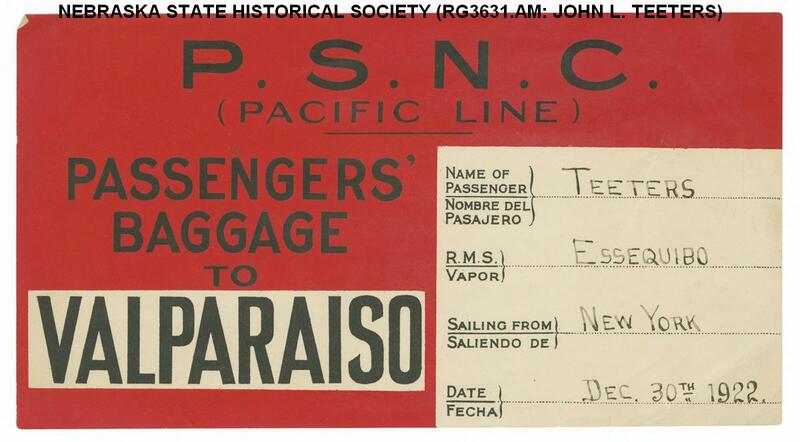 Steamer trunk label (NSHS RG3631.AM) (above). John L. Teeters was active in civic affairs and served as a member of the University of Nebraska Board of Regents from 1900 to 1906. He was a founding member of the Lincoln General Hospital board, and an active member of the Lincoln Chamber of Commerce. 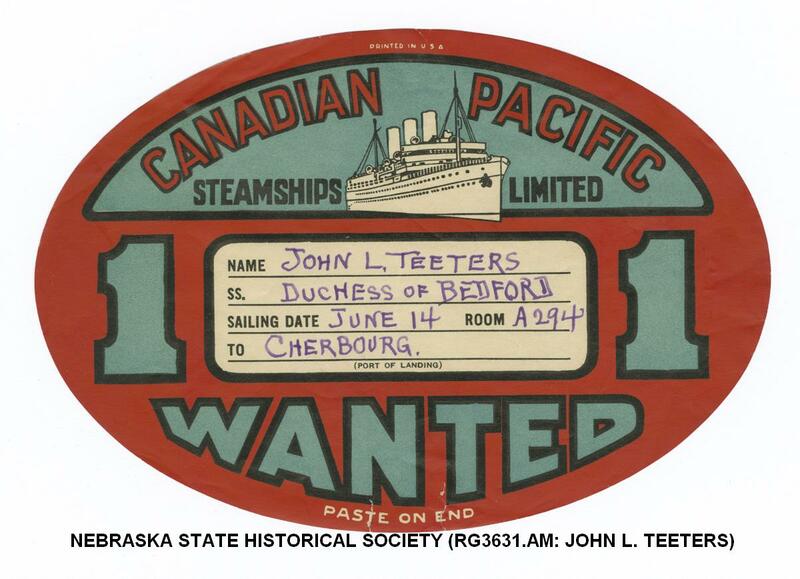 John L. Teeters died in Lincoln on October 23, 1946. For more information about this collection, contact the Library/Archives.